The late Dr. G.F. Ledingham (1911-2006) established the Herbarium in 1945. 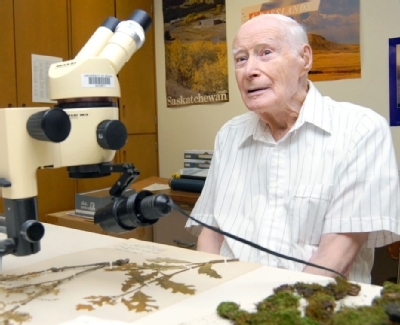 He devoted a good portion of his lifetime in expanding the collections of the Herbarium, both while he was a full-time faculty member and during twenty plus years of retirement. The Herbarium has over 50,000 vascular plant specimens, 10,000 bryophyte specimens, and 10,000 specimens of lichens.